Now it's easy to get great kayaking and SUP photos. The better way to get great on the water photos is here! 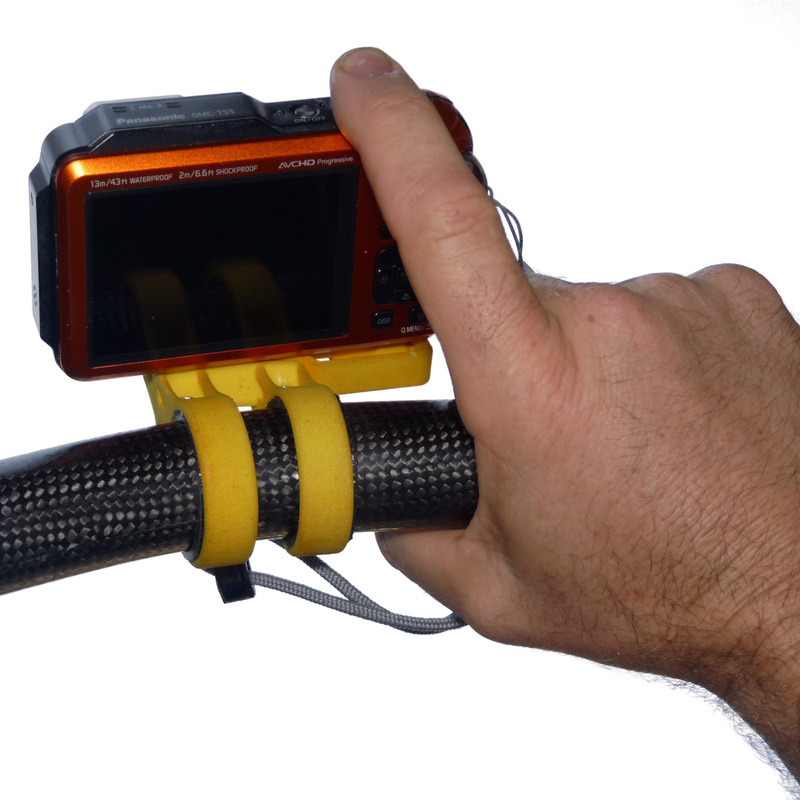 No more fumbling for your camera while you miss the photo op and lose control of your boat or board. 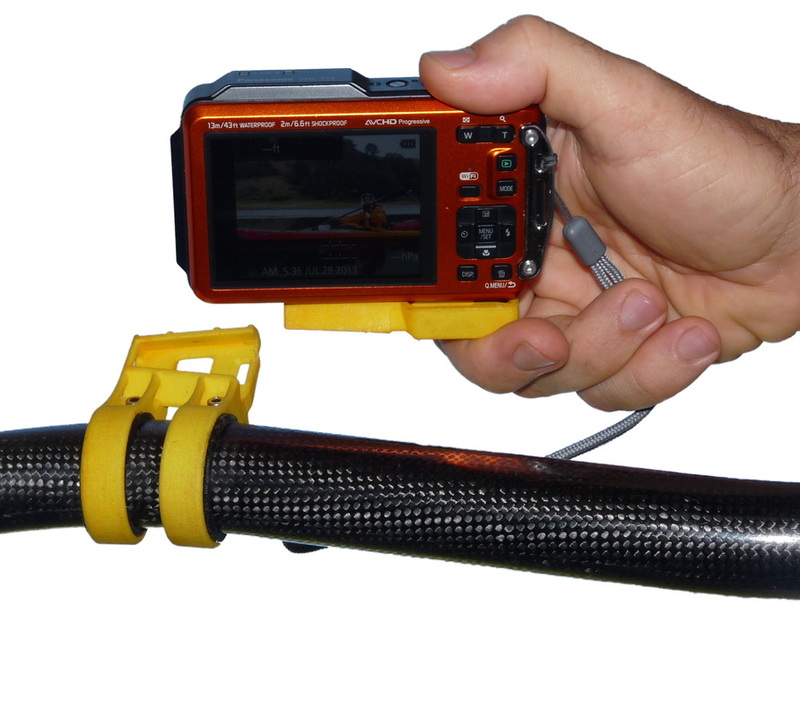 The PaddleCam lets you mount your waterproof camera directly on your kayak or SUP paddle. Your camera is within easy reach, yet never in your way. 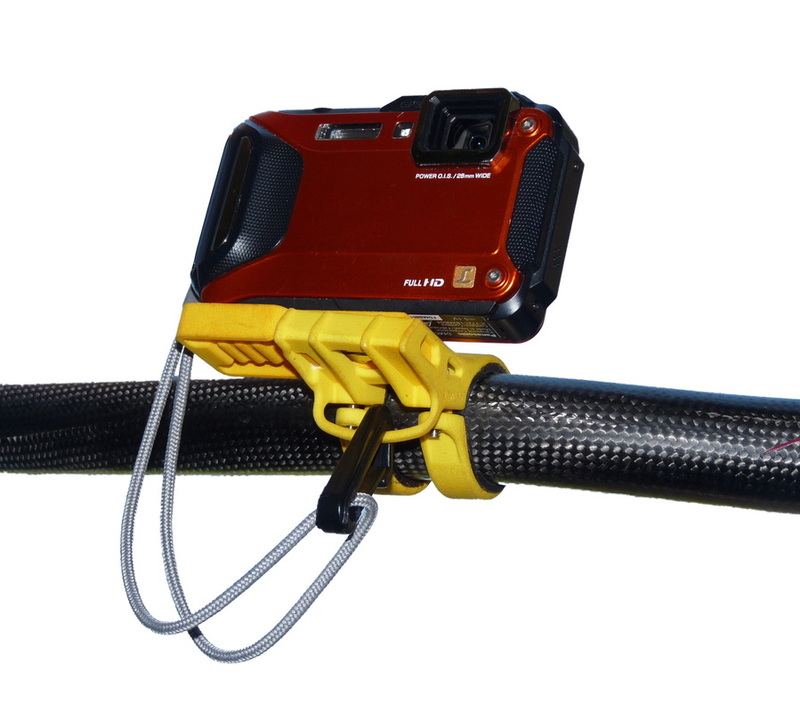 PaddleCam™ allows you to easily and securely attach your waterproof camera to your kayak or SUP paddle. Take photos without fumbling for your camera, or giving up control on the water. Designed specifically for paddles, the patent-pending PaddleCam™ is low-profile and lightweight, not bulky and heavy like other mounts. The quick-release feature allows you to quickly attach and remove your camera. Have your camera where you need it, when you need it! Quick-Release Design. Allows you to put your camera away quickly, leaving less than an ounce on your paddle. Tough Nylon Construction. We torture tested it so you can take photos, not worry about your camera. Dual-Band Clamp. Keeps the camera stable while keeping the weight down. It also attaches nicely to the bends on bent-shaft paddles. Auto Lock Foot. Mounts securely to camera. Still fits in your PFD pocket. Captured Stainless Steel Tripod D-Screw. Tightens without tools. Won't rust. Won't fall in the ocean. Custom captured rubber gaskets to insure a snug no-slip fit on your paddle. Integrated Leash Clip. Looks simple, but designed to be easy to clip with no accidental unclipping. Captured Stainless Steel Clamp Screws. Won't strip. Won't rust. Won't fall in the ocean.